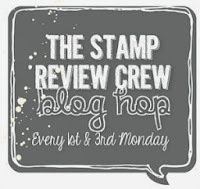 Welcome to another amazing Stamp Review Crew Blog Hop! We are a group of Stampin' Up! Demonstrators from around the globe who will bring you lots of ideas featuring one stamp set each hop twice a month! The 1st and 3rd Monday of each month, you can hop along from one blog to the next gathering all kinds of inspiration for one Stampin' Up! stamp set. Please note the blog hop doesn't officially start until Monday August 6, 2018 so some of the links may not work. We are featuring a brand new stamp set called Rooted in Nature Stamp Set (W) item #146479 (C) item #146482 from the Annual Stampin' Up! Catalog on page 143! It also comes with matching framelits so you can purchase them together in a bundle and save 10% (W) item #148352 (C) item #148353. A set celebrating nature and everything in it. Including you! Create beautiful die-cut trees and leaves in record time with Framelits dies and the Big Shot. Framelits to cut out beautifully designed trees. In addition to Framelits for every stamp image; this set includes Thinlit leaves with a light emboss texture. This set is AWESOME and absolutely gorgeous! Stampin' Up! also created some beautiful items to go with the Nature's Poem Suite to help you create works of art. Create a 4 1/4 x 5 1/2 Tranquil Tide card base using the Stampin' Trimmer and the Simply Scored Scoring Tool. Cut a piece of Soft Suede card stock 4" x 5 1/4". Ink the stamp from the Rooted in Nature Stamp Set in Soft Suede and stamp onto the Soft Suede card stock. Repeat until you have the desired amount of images. Adhere to the Tranquil Tide card base. Cut 3 different patterns of Nature's Poem Designer Series Paper and adhere to the card base. The Nature's Poem Designer Series Paper is to die for! I am in love with it so much!! What I like best is it literally will work for anytime of the year. Cut a piece of Very Vanilla card stock. Ink the tree from Rooted In Nature Stamp Set in Tranquil Tide stamp onto the center of the paper and then continue stamping to the left, right and top without re-inking the stamp. Adhere to the card base. Stamp the tree again in Tranquil Tide onto a piece of Very Vanilla card stock; die cut out the tree image using the Nature's Roots Framelits and Big Shot Die Cutting Machine. Adhere with a Stampin' Dimensional to the center of the card. Zip a piece of Cajun Craze and Mint Macaron card stock through the Big Shot Die Cutting Machine with the Nature's Roots Framelits to emboss a leave images then die cut out the leaf with the Nature's Roots Framelits. Adhere to the card with Stampin' Dimensionals. Add a Leaves Trinket. These are so awesome!!!! Cut a piece of 5/8 Burlap Ribbon and Nature's Twine (Blackberry Bliss). Ink the stamp from Rooted In Nature Stamp Set in Blackberry Bliss and stamp onto a piece of Very Vanilla card stock. Zip it through the Big Shot Die Cutting Machine with the Stitched Shapes Framelits die cutting it out. Ink the little leaf onto the oval die cut. Adhere to the card with Stampin' Dimensionals. Adhere a True Gentleman Button with some Nature's Twine. Finish by adding some Share What You Love Artisan Pearls. Cut a piece of Soft Suede card stock 4" x 5 1/4". Adhere to the inside of the card. Cut a piece of Very Vanilla card stock 3 3/4" x 5. I took the stamps from the Rooted In Nature Stamp Set again. I inked the wood in Soft Suede and stamped off onto a piece of scratch paper before stamping onto the Very Vanilla card stock. I inked the leaf in Grapefruit Grove and stamped along the edges of the Very Vanilla card stock. Adhere to the Soft Suede card stock. I finished the inside by cutting 2 different patterns of the Nature's Poem Designer Series Paper. Adhere across the bottom of the Very Vanilla.